What I’ve been up to this week! Hello all! It’s been a busy old week for me, with lots of things to make, places to go and people to see. I’m not complaining at all, it’s been great to have so much to do! The week started off by going to a friend’s flat to watch the end of festival fireworks. We let young sir stay up late to watch them with us and he loved it. It was so sweet to see how excited he got about the sudden eruption of colours in the sky, especially when he kept checking everyone else was watching too. I really enjoyed making these. 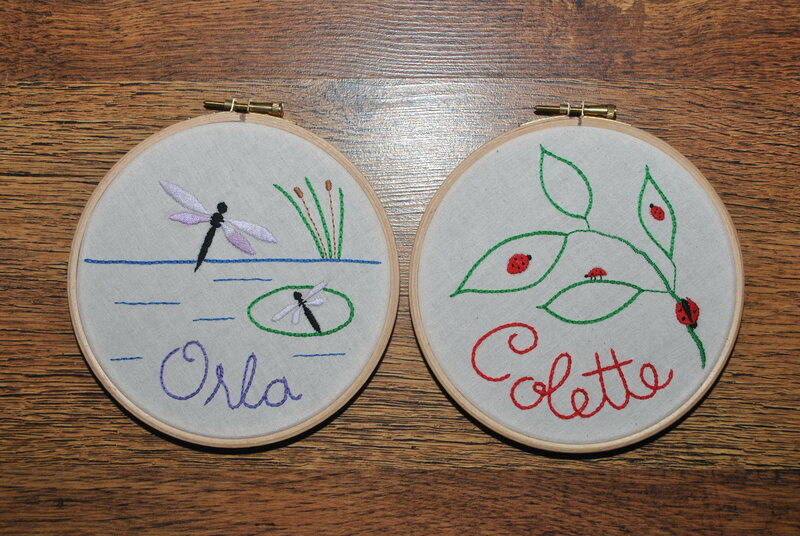 It’s been a while since I did any hand embroidery and I was very pleased with how they turned out, and more importantly my friend really liked them so all the work was worth it! The teeny tiny flashes are possibly my favourite part of this outfit. They just look so cute in such a small size! And then this morning I was really excited to take delivery of our new bathroom suite! I cannot wait to have it all installed and take a lovely long soak in the bath. I know our current bathroom works fine, but really, who ever thought that a brown suite, bronze swirly tiles and wood panelling was a good look? And in such a small space! I really hope I won’t look back on some of my own design decisions in years to come and wonder the same thing! I hope you’ve all had a lovely week and have a great weekend planned! So I was recently given a whole lot of clothes that were no longer needed, and told to see if I could use them in some way or they were going to the charity shop. Now, I always like a challenge and I love creating something new out of something old and unwanted, so this sounded perfect. Other people may see a bag of old clothes, I see a bag of free fabric and possibilities! 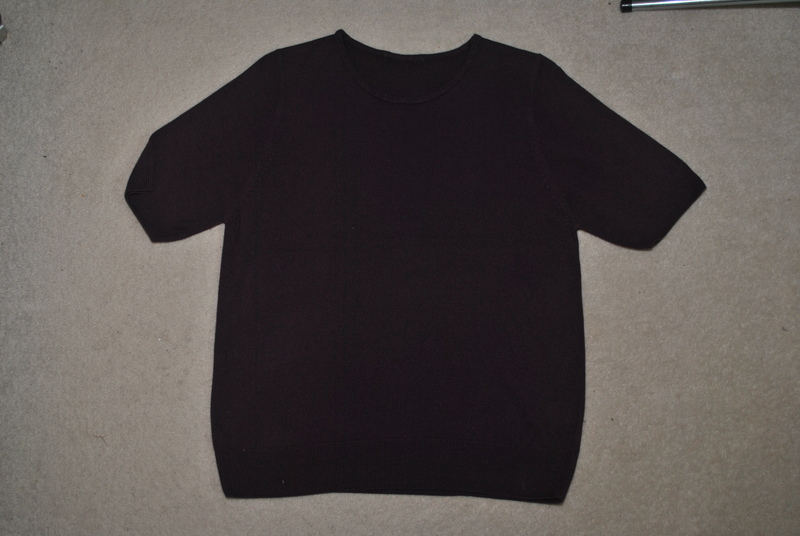 I decided that my first project would be to turn this jumper into a skirt. Not the immediate thought that comes to mind, but actually a very simple conversion! A jumper, although this technique would work just as well with any top made of suitable material! The jumper I’m using is a machine knitted, acrylic jumper with small stitches. This is important as it means that it won’t unravel as easily as a loose knit, which gave me more time to work with it and made manipulaing the fabric easier. 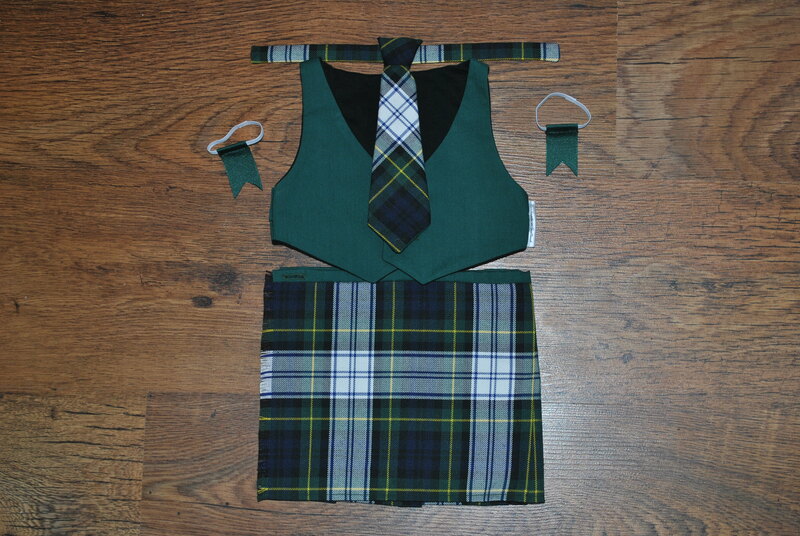 To see your jumper as the skirt, we’re first going to lay it down right side up, but wrong way around, so that the neck is beside you and the waist band is away from you. The waist is going to remain as the waist, and we’re going to remove the sleeves to make room for legs! To do this take your ruler and lay it across the jumper from armpit to armpit. I used my quilting ruler as it’s much longer than a regular ruler, so it did stretch right across. You could use a tape measure pulled taught if you’re struggling to find a straight edge long enough. Then take your chalk, or marker, and draw a straight line across the fabric. This is where we are going to cut to remove the top of the jumper. At this point take a moment to try on the newly formed skirt to check the fit. Remember that the cut edge is still unfinished and will shed some fibres. 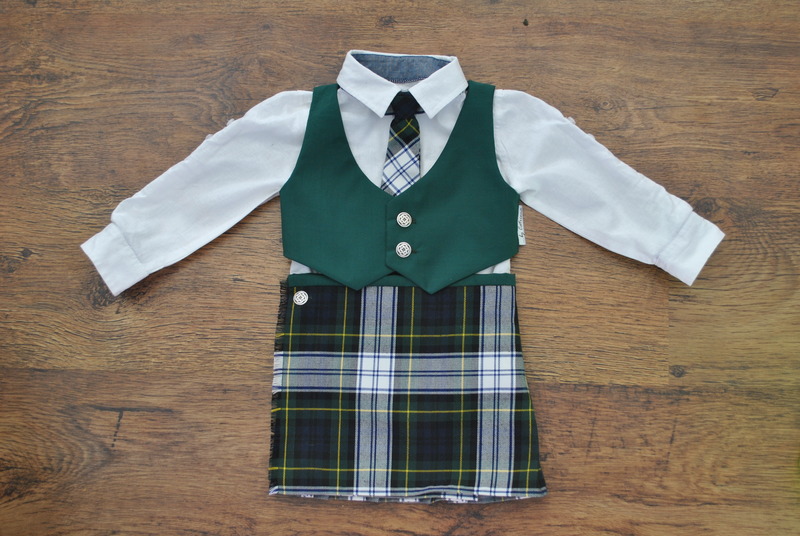 When I tried on my skirt I found that it was much too big for me, as was the original jumper, so I had to take it in to avoid any “wardrobe malfunctions!” I wanted my skirt to be quite tight, if you wanted a looser fit then you could of course leave the extra fabric. I used a quick and easy method to mark where to take in my skirt: whilst wearing the skirt, and with the aid of a mirror, I held the skirt by one of the side seams and pulled all the escess fabric to one side. Using my other hand I then pinched it together at my hip, where I wanted the new seam to go, and pinned. 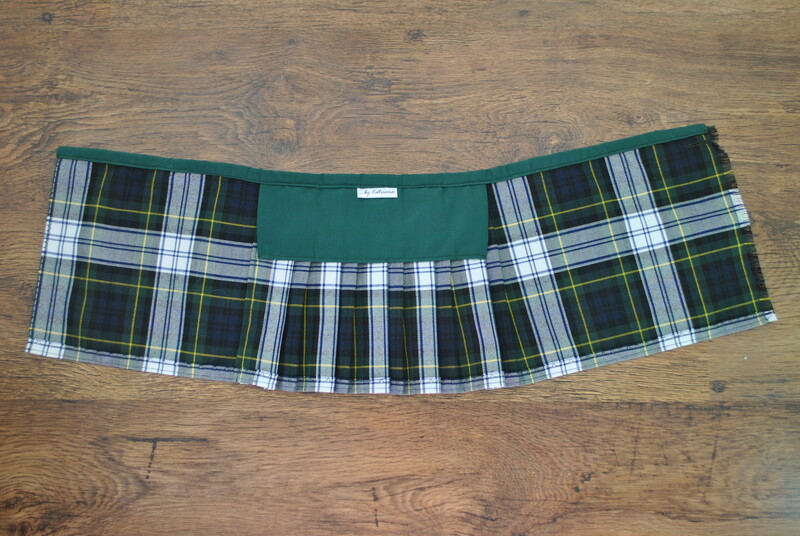 As the fabric is really stretchy there was no need to shape the side seam, this makes life much simpler as you can then mark and pin a straight line down the side of the skirt. You might notice I have pinned it with the wrong sides together: this is because I used a French seam (if you’re not sure how to sew a French seam, check out my tutorial here) I used this seam as it encases the raw edges, so the knit fabric won’t be able to unravel whilst I’m wearing the skirt! 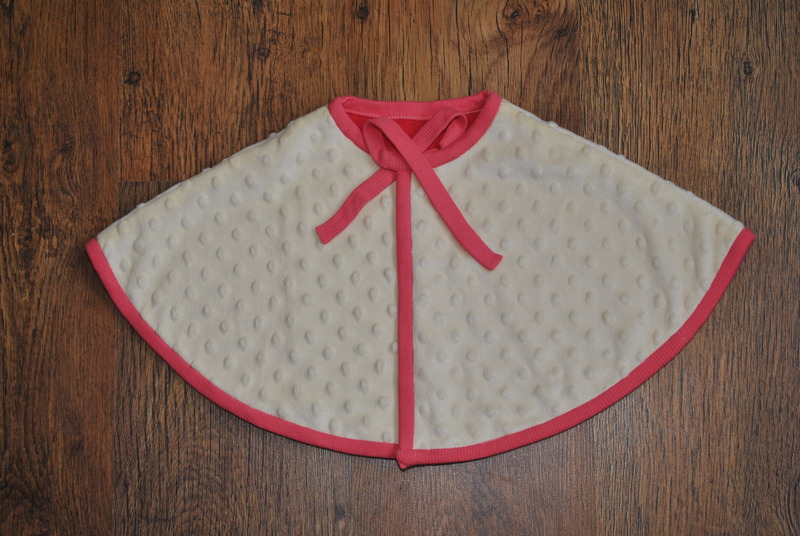 Using a medium length, straight stitch sew down the line you have marked and then cut away the excess fabric, leaving about 3-4mm beyond the line of stitching. 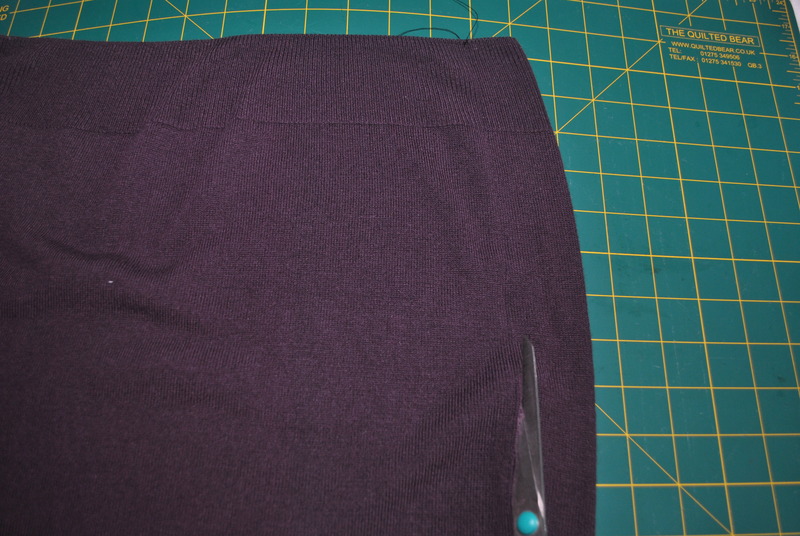 Once that’s done, flip the skirt inside out and pin the seam with the right sides touching. Then sew the second line about 6-7mm from the first to enclose the raw edges. Take a moment to check the fit again, as it’ll be easier to fix at this point than once we’ve sewn the hem! If you’re happy then it’s time to do something about that raw edge at the bottom of the skirt. 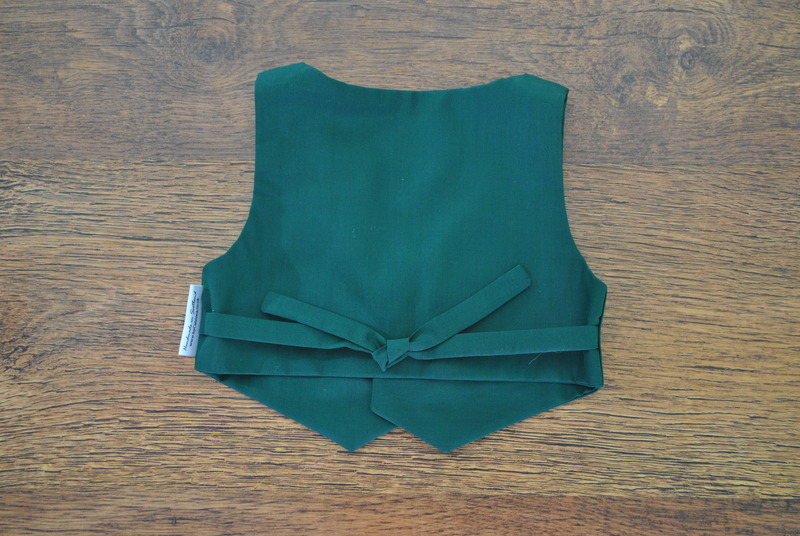 If you are using a t-shirt type fabric for this project then you can leave this edge raw if you wish, it will give a more casual look and will mean your finished skirt will be longer as you aren’t having to create a hem. However if, like me, you are using a jumper then you will have to finish the edge as the knit is much looser than on lightweight jersey, so will unravel, especially in the wash! If your skirt is quite long at this stage and you want it a bit shorter you can finish this edge using a double folded hem. If you don’t have as much length to play with, or you want a less chunky hem then first job is to overlock the raw edge. 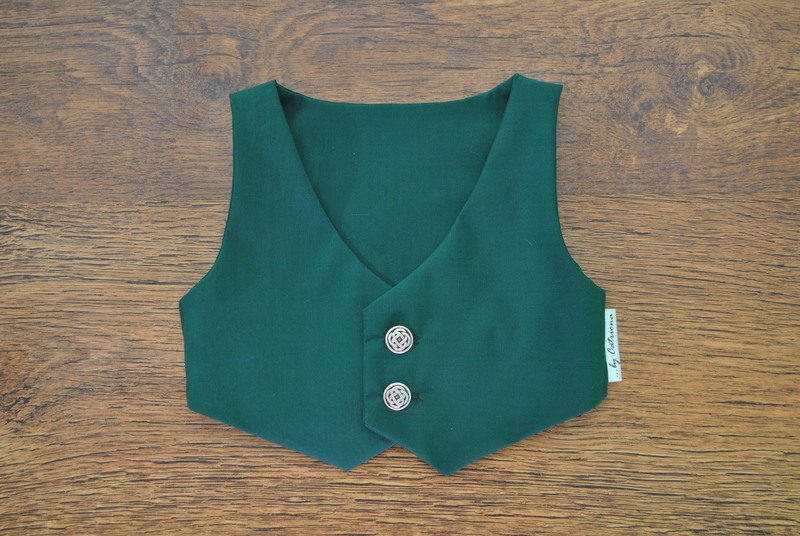 If you don’t have an overlocker, or a machine with an overlocking stitch, then a zig zag stitch works just as well. I found it easiest to start at a side seam and sew right round the edge until I was back where I started. The key to getting a neat finish is to take your time and try not to overstretch the fabric. 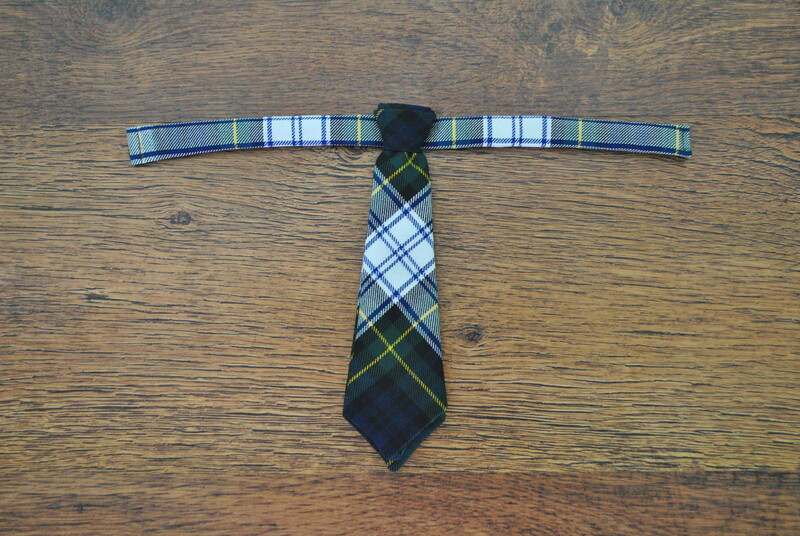 Once you’ve tied off your loose ends it’s time to for the hem. 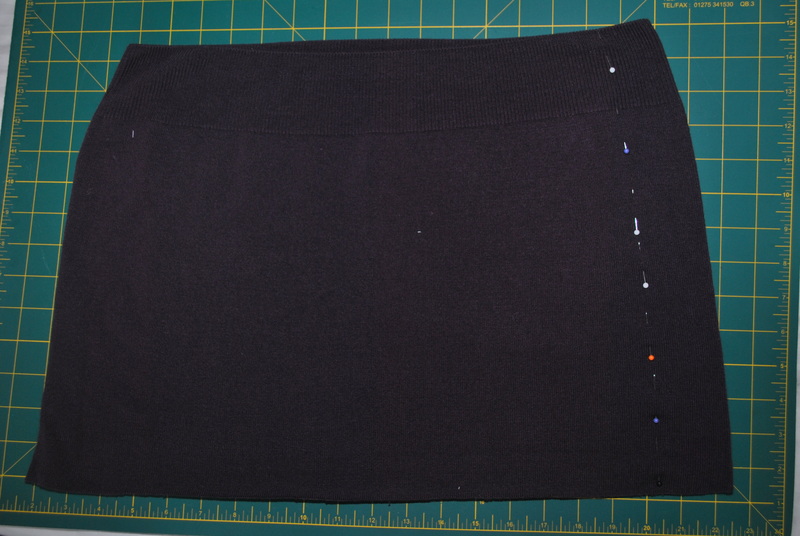 I folded over roughly 15mm (make sure you end up with your hem on the inside of the skirt!) and pinned in place round the whole lower edge. Now as my fabric is very stretchy it was really important not to sew the hem using a straight stitch, otherwise as soon as the fabric was stretched, the stitches would break and I’d no longer have a hem! So instead I used a zig zag stitch which can cope with being stretched without breaking. Again I sewed slowly to make sure I was keeping the same distance from the edge of the fabric. Now that the skirt is hemmed the final task is adding elastic to the waistband. As we are reusing the original waistband, just upside down, we don’t need to finish the edge as it is already done for us. We will need to create the casing for the elastic to go through though. To do this we are going to basically do the same as we just did at the hem: fold under, pin, and knit with a zig zag stitch. Only this time we’ll need to leave enough space between the fold and stitches for the elastic. 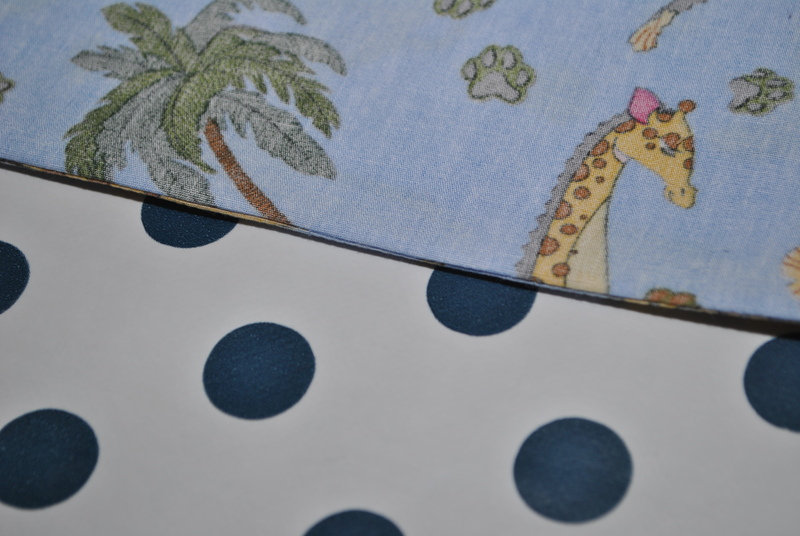 I’m using 1″ (25mm) wide elastic so there has to be at least that width, ideally a mm or two extra to make life easier! We’ll also need to leave an opening to get the elastic in. 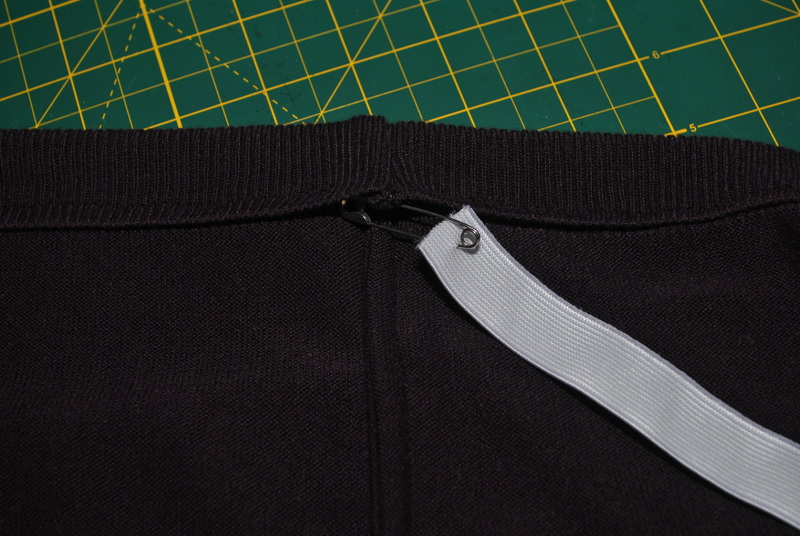 Conveniently folding the ribbed waistband of the jumper in half gave me exactly the right size of casing, so I didn’t need to carefully measure. I do love it when coincidences make my projects easier! I pinned the waistband, leaving a gap of about 6-7cm through which I could feed the elastic afterwards, and then sewed, making sure there was always just over 25mm width in the casing. Now it’s time to measure out the elastic. I found it easiest to do this by putting on the skirt and measuring round my hips where the waistband sat. I cut the elastic to the same length as my hip measurement, so that after the two ends of the elastic are sewn it will be slightly stretched. To insert the elastic you can use a bodkin if you have one, or if you don’t, like me, then you can just use a safety pin. Pierce one end of the elastic with the pin, then feed it, pin first, through the casing we’ve just sewn. If you’ve never done this before the way to do it is to push the safety pin through a few cm so that the fabric gathers over it. 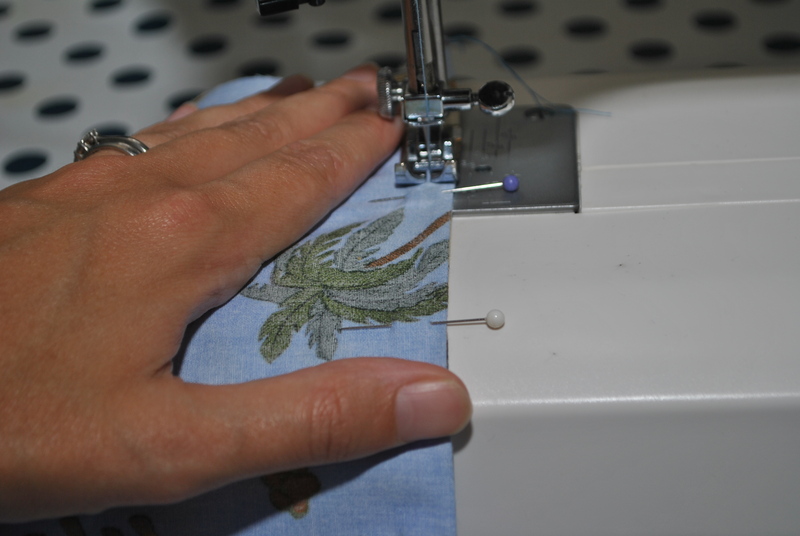 Then pinch the end of the pin and pull the elastic through the gather you’ve just made. Repeat until the elastic is all the way through the casing then remove the pin. Easy! Overlap the two ends of the elastic, making doubly sure there are no twists, and sew together. I always sew a square shape when joining elastic so that there will be less stress on the stitches than in a single line. For the final time try on your skirt to check the fit. If the elastic is too short then redo the overlap making it tighter. 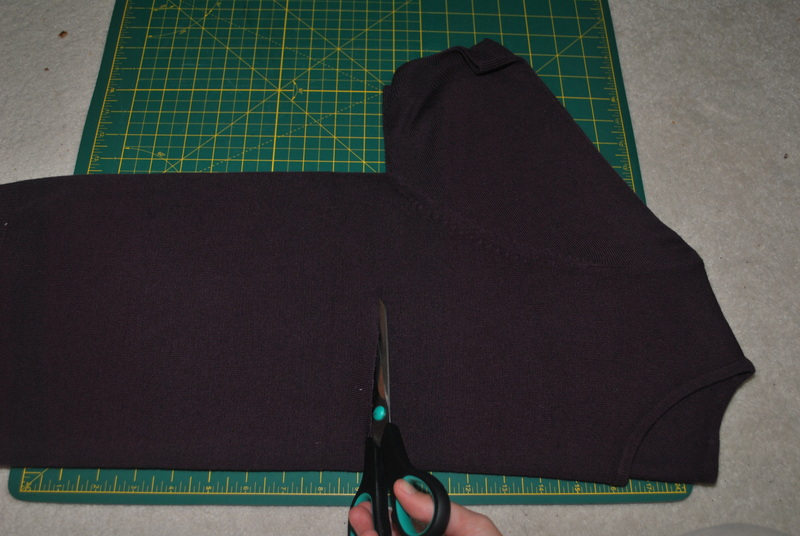 If it is a little too tight then redo making the waist bigger. 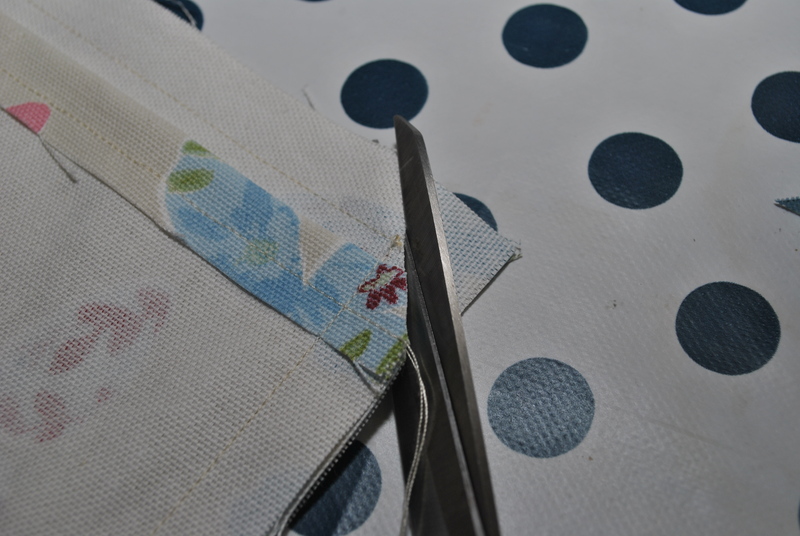 And if it is much too tight and you don’t have enough elastic then add in an extra piece by sewing a smaller piece onto each end of your elastic to make it longer. If you’ve taken a look at my photo albums on Facebook, you may notice I mention using French seams to finish off some of my creations. And those of you who aren’t seasoned sewers might be wondering what a French seam is, and how to do it. A French seam is a way of sewing two pieces of fabric together which encases the raw edges to give a neater finish, whilst also making it softer against the skin than an unfinished or overlocked seam (if you don’t know what overlocking means check back soon and I’ll explain, but I won’t go into detail just now). French seams give your garments a much more professional and high quality finish than leaving the edges raw, and it is also possible to create a French seam on even the most basic machine (or even by hand if you wanted to!) as it only requires a straight stitch. 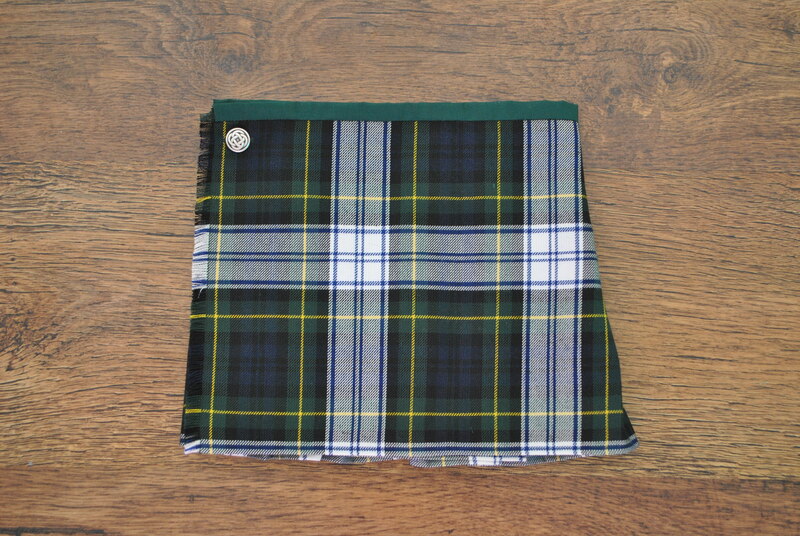 It isn’t suitable for all fabrics however, only light to medium weight, due to the number of layers of fabric the finished seam will end up with. 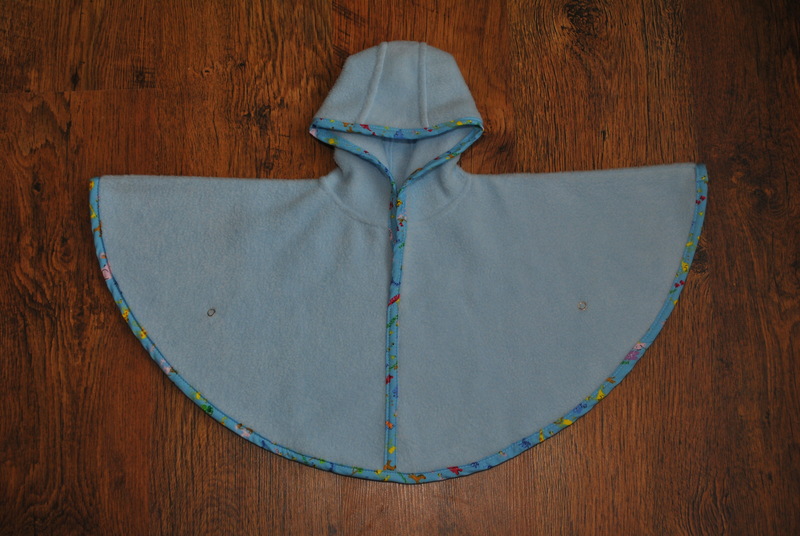 So for example you wouldn’t use this technique when sewing with fleece as it would be too bulky. 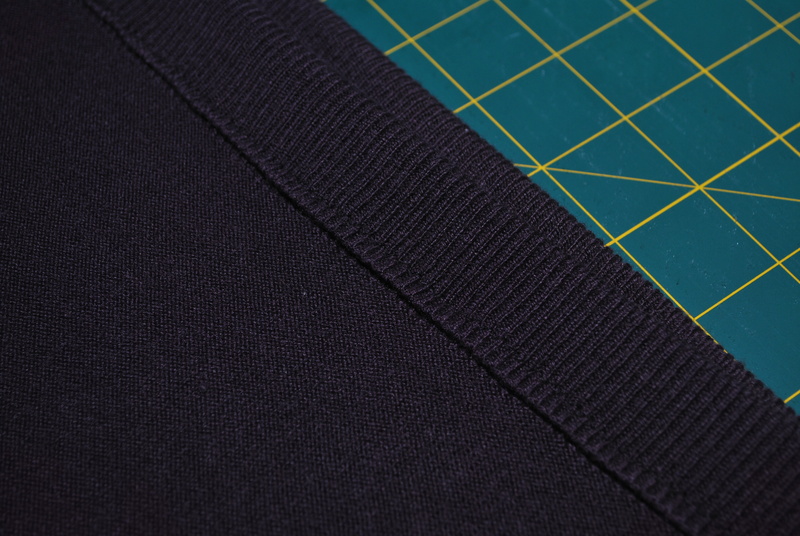 There are other types of seam for thicker fabrics, but we’ll save them for another day. 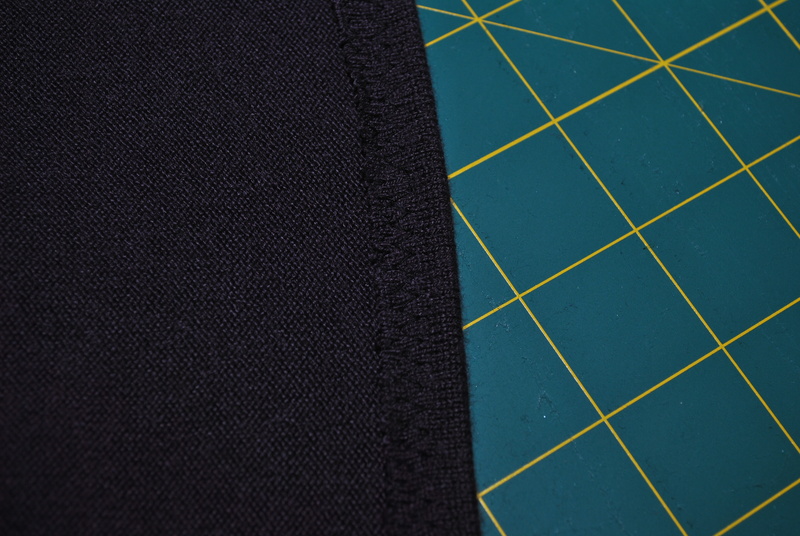 Sewing a seam in this way is actually really easy, and once you’ve got the hang of it, it won’t add much time to your sewing projects but it will give them a great, professional looking finish. We are now going to trim the excess seam allowance and get close to the line of stitches we just sewed. This is why it doesn’t really matter how close to the edge you actually sew. As you can see I’ve left about 1-2mm beyond my line of stitching. This will give me a small, neat seam when I’m finished. We’re now going to turn the seam to the inside, so that the right sides of the fabric are touching, and we’re going to step away from the sewing machine and go over to the ironing board. This might be a little strange to some of you, but it will give a much nicer finish and make the next step easier so is totally worth it! 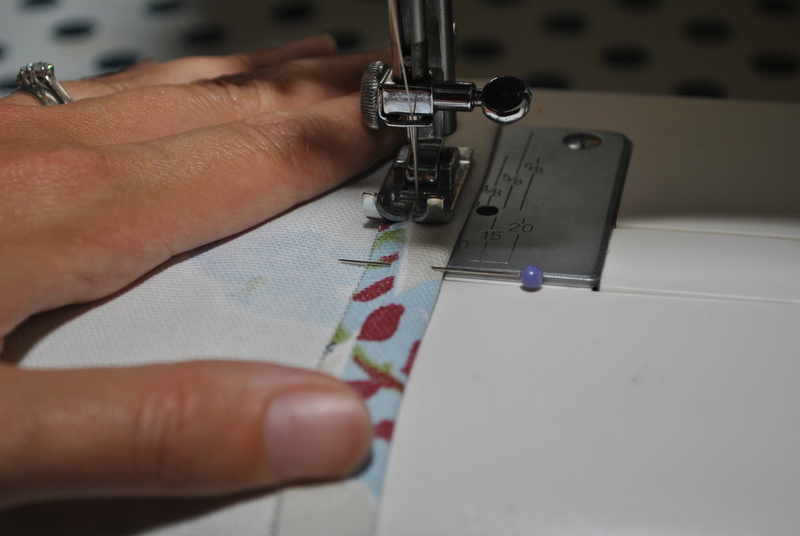 Depending on the fabric you are using you might need to manipulate a small section, press it, and repeat along the length of the seam, if the fabric won’t stay put. This method will also let you check each section before you press it and will mean fewer chances for the fabric to shift. Now it’s back to the sewing machine for the second lot of stitching. If you remember I trimmed my seam allowance to 1-2mm from my last seam, so I know that if I sew my second seam 4-5mm from the edge I won’t catch the raw edges and they will end up enclosed between the 2 seams. Make sense? When you’re finished sewing tie off the ends of the threads so that your stitches can’t come undone (you don’t want to see your hard work unravel itself!) And the finishing touch is to give the seam another press to get it sitting perfectly. Lay your fabric right side down on the ironing board, gently pull it until it lays flat and decide which side you want your seam on. Press it down and you’re done! *Note: when thinking about how close to the edge of the fabric to sew you need to consider 2 things. The first is how much seam allowance your pattern has, most are 10 or 15mm. And the second is how big you want the final seam to be. 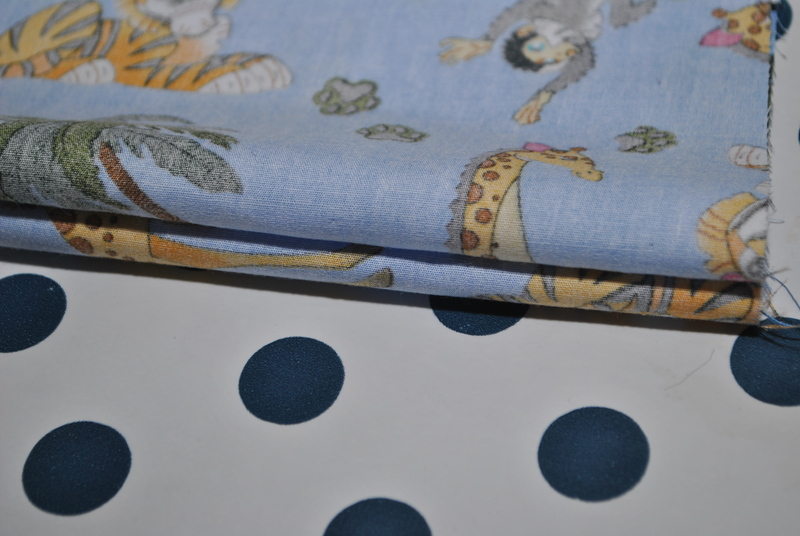 Let’s say I have a 10mm allowance on my pattern and I want the final seam to be 4mm wide. I will have to sew my first line of stitching 6mm from the edge (10mm – 4mm) and after sewing, trim the excess to 2mm (so that when I sew my second line of stitches 4mm from the first it won’t catch the raw edges). 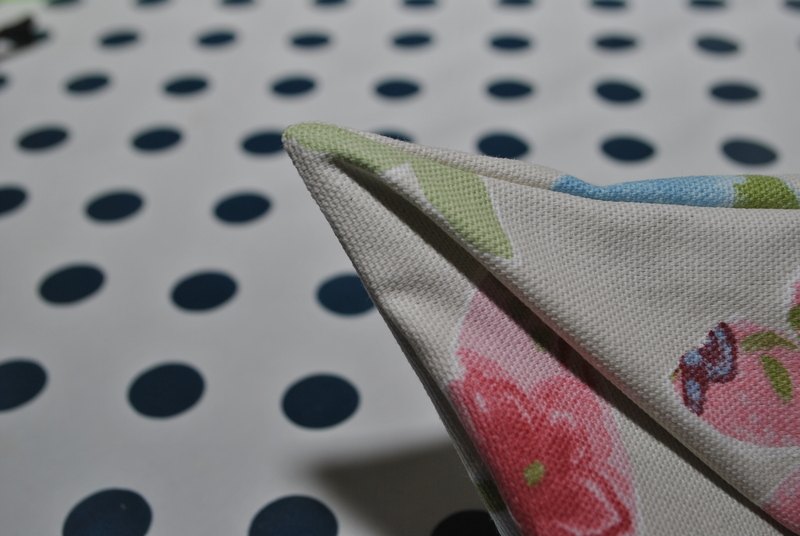 Making cushion covers this way is so easy: there are no zips to add, you don’t need to add buttons and buttonholes unless you want to and you don’t need to line it. Simple! So simple you don’t even need a pattern to make it, you just adapt the ‘formula’ to the size of cushion you want to cover! the correct needle for the type of fabric (it is very important to choose the correct needle, so much so that I will dedicate a whole post to choosing the correct needle soon! Pen and paper to sketch out your pattern and for your maths! Now it’s time to measure, mark and cut the fabric. If you are using a piece of fabric which is already rectangular then simply draw your 3 pieces side by side, with the edges of each piece touching. This will save time and fabric, but if you’re not good at cutting in a straight line then leave a gap so you’ve got a margin for error! Also if your fabric has a directional pattern then make sure on the flap piece that the pattern is the correct way around when the rectangle is laid in landscape. 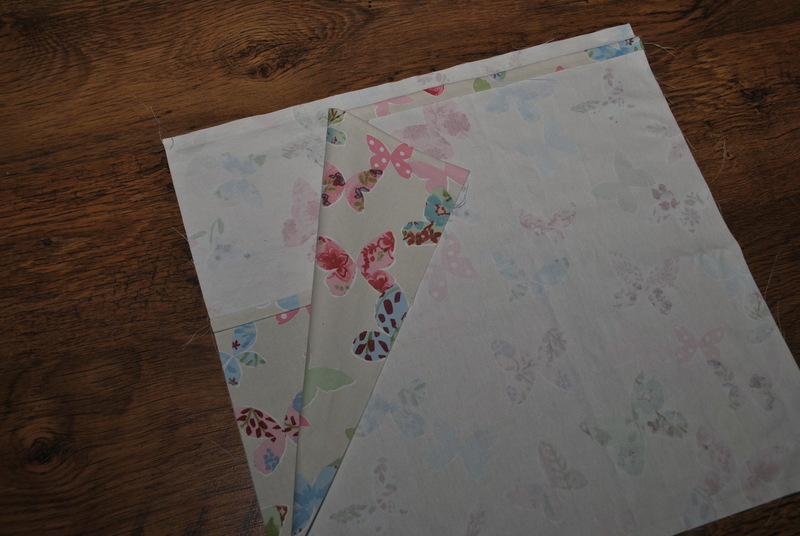 Once you’ve marked your fabric it’s time to cut the pieces out. 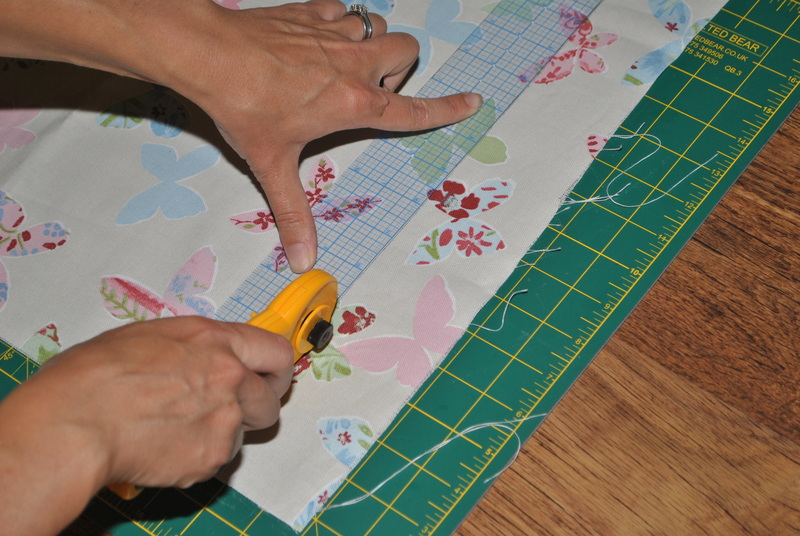 Having recently treated myself to a rotary cutter, mat and quilting ruler I can highly recommend them: I didn’t think I used to spend all that long cutting out, but now it’s so fast in comparison I realise I must have been! They also make it so easy to cut long, perfectly straight lines. 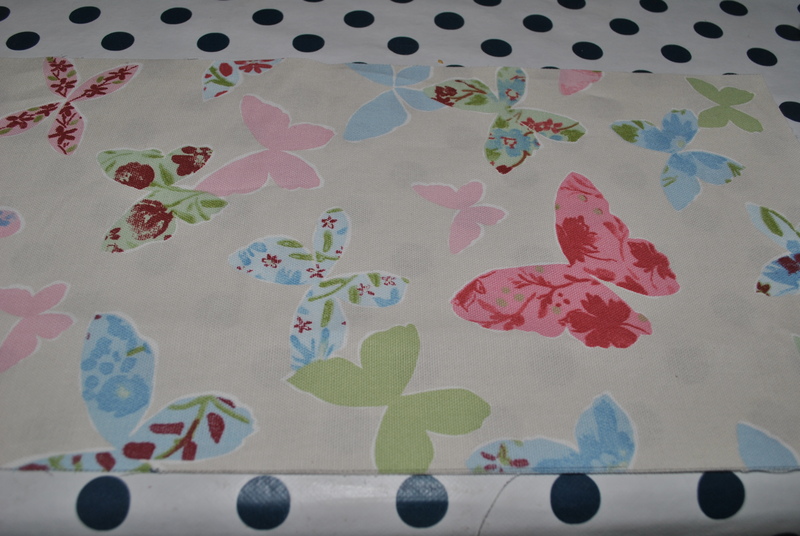 We are going to be hemming the lower edge so that the pattern sits the right way round when the cover is finished. Turn the fabric over, turn under the seam allowance and pin in place. Then using a straight stitch, sew from one short side straight across to the other. To get a really crisp edge, and a more professional looking finish, press (iron) the seam. Trust me, it is worth the little extra effort! We’re then going to hem the top edge of what will be the front piece, because it will form the opening. If you are pressed for time (or dont want to!) you can skip this step, so long as your fabric won’t fray, as this edge won’t be on show. I’m going to hem it as I’m a bit of a perfectionist and I like everything to be neat and finished! To form the hem lay whichever of the two identical pieces you want to be the front RIGHT SIDE DOWN with the top of the pattern away from you. 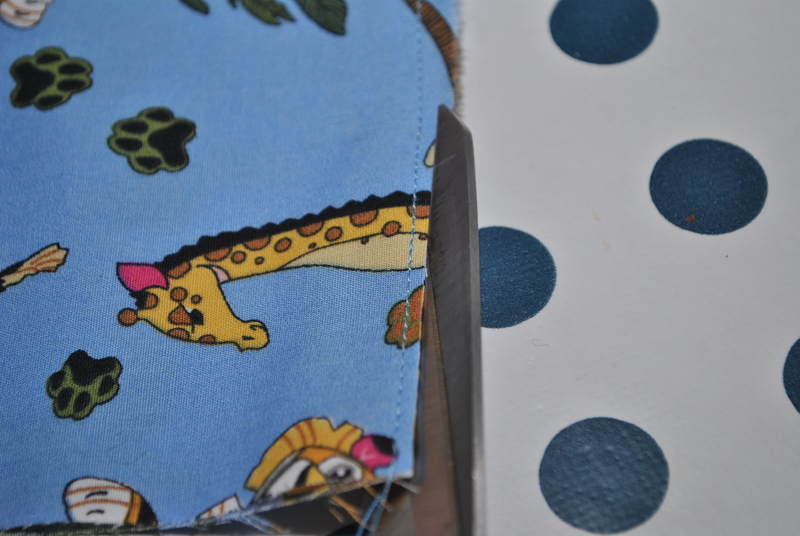 Fold over the seam allowance from the edge furthest away, pin in place, sew and press. Next we are going to attach the flap to the back panel. Lay the back piece RIGHT SIDE UP with the pattern the correct way up as you look at it. Lay the flap WRONG SIDE UP with the raw edge lined up with the top of the back piece. Pin in place, and sew with the same seam allowance as we used in the hems. We are going to attach the front piece to the opposite end of the back piece by laying the back piece RIGHT SIDE UP again and putting the front piece WRONG SIDE UP with the hemmed edge furthest from you and raw edges aligned at the bottom. Pin in place and sew. Note that in the picture I’ve only turned back the front panel to show the other layers, not because it’s to be sewn in that position! Now we need to put the layers in the correct order before we sew the sides, otherwise we won’t be able to get our cushion in! Lay the back piece RIGHT SIDE UP then fold the flap over it so that you see its WRONG SIDE and then the front piece over the top WRONG SIDE UP. If you’ve sewn the pieces together the right way round this should just be a matter of layering them, if the pieces aren’t the correct way up now is your chance to fix it! 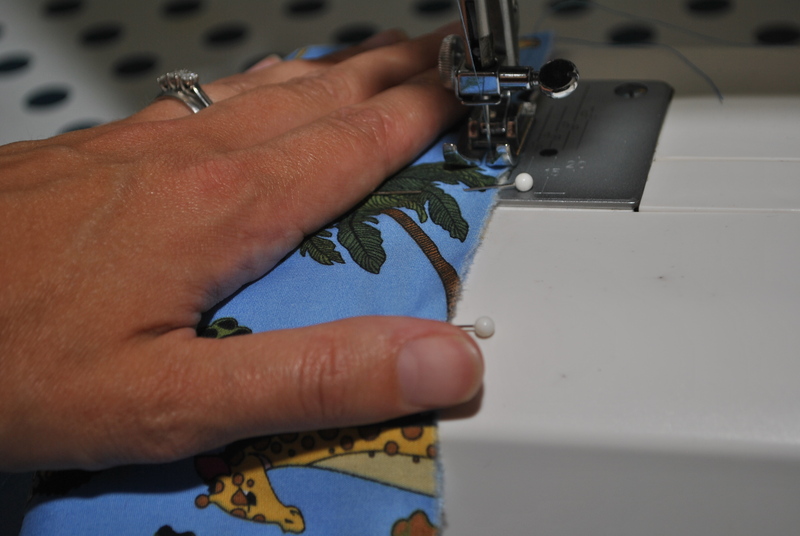 Carefully pin both sides of the cushion together. You will see now that we have already sewn the top and bottom together. If you are using very thick fabric you might find it easier to use mini bulldog clips as they will hold your layers together better. 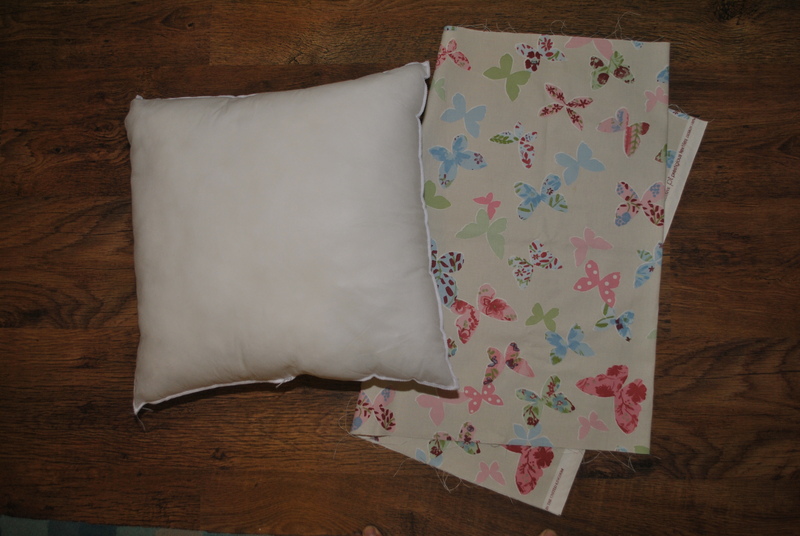 Once it’s pinned it’s time to sew the sides shut, and our cushion cover is nearly complete! Before we turn it right way out we need to trim the seam allowance at the corners so that the fabric will sit properly. If you skip this step your cushion won’t have square corners, so it’s worth doing it. All you need to do is cut straight across the corner as close to where the stitch lines cross as you can without cutting them. I always cut off a little more down the edge just to make extra sure it sits as it should. Once the corners are trimmed, if you have used material that can fray you might like to finish off the edges to stop them unraveling. 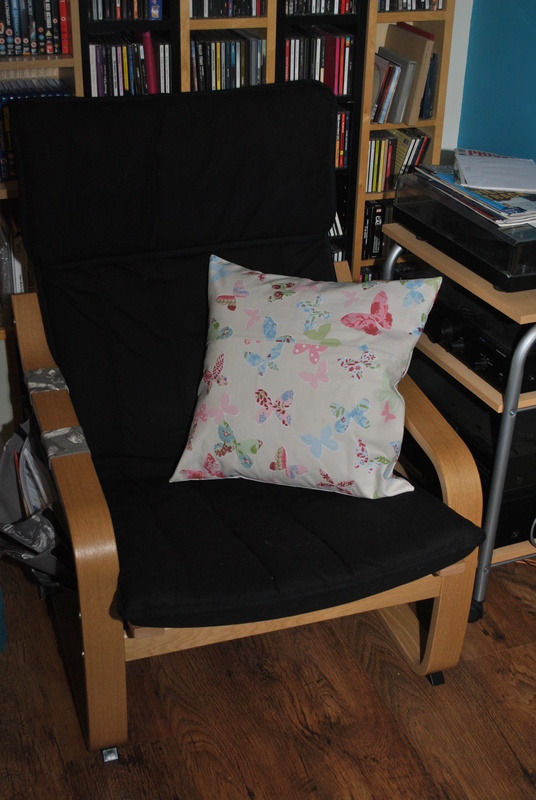 You can either stitch over the edges or, as I did, use a pair of pinking shears which will stop the edges fraying. Finally turn the cover right way out through the opening and push out the corners with something like a knitting needle to get a nice sharp corner. This is your chance to make sure they’re sitting as you want them to, and if they aren’t then turn it inside out again and carefully trim away a little more of the seam at the corners. Once your corners are all sitting nicely give the whole cover a final press and voila! 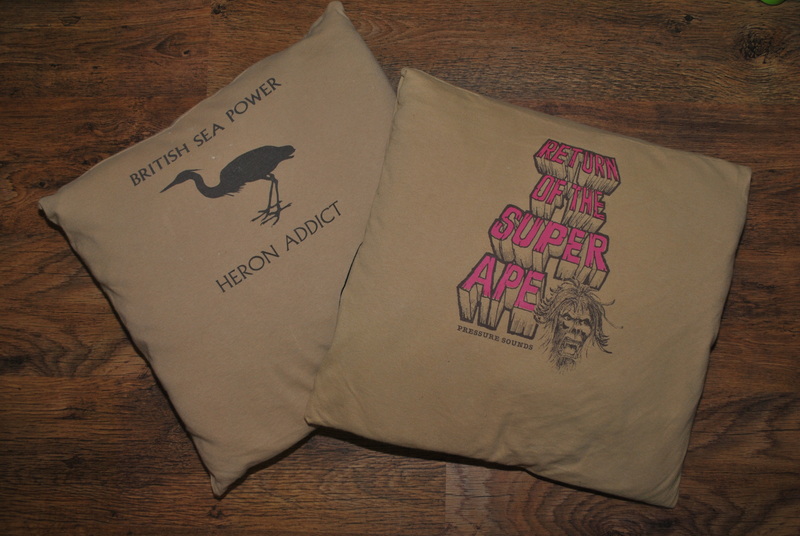 Your cushion cover is complete! 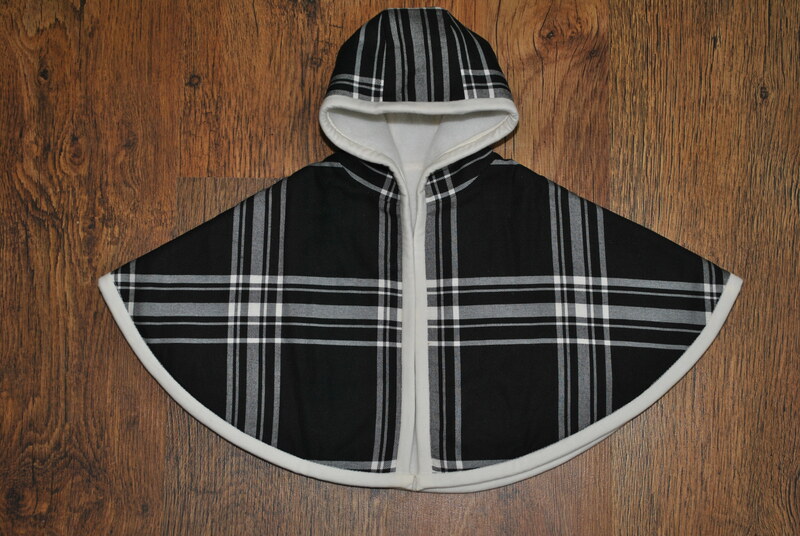 Where it all started: The baby poncho! I came up with the idea of starting my business after a present for a friend received such positive feedback. She had been complaining about the difficulty of fighting her newborn daughter’s arms through her jacket sleeves, but said that the ponchos she had seen were all so expensive she couldn’t justify spending so much money when it would last such a short time. So I decided to see what I could whip up. I did a little maths and drafted a pattern then headed off to the fabric shop, one of my favourite outings! 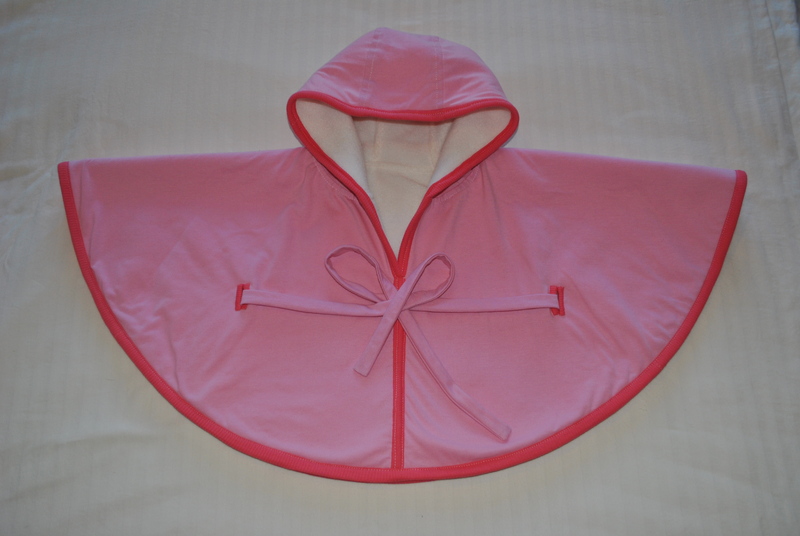 I gave my friend the poncho and everyone who saw it said nice things, which planted the seed of the idea for my business! 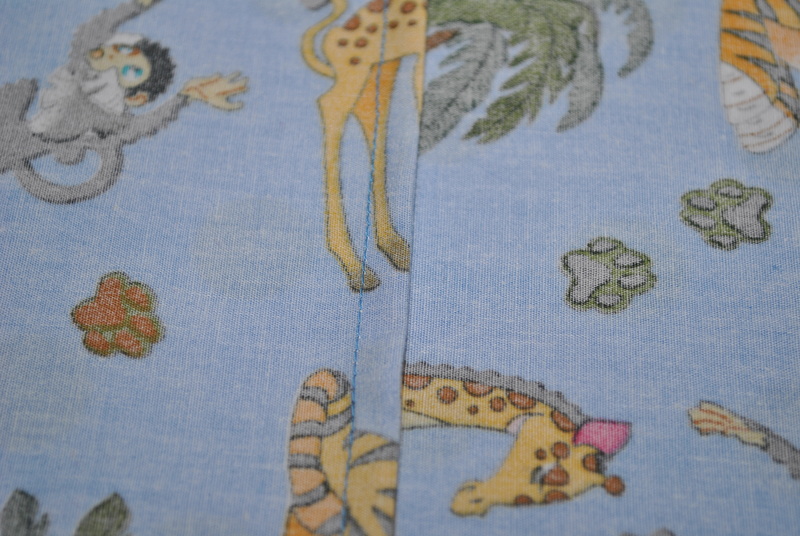 A lovely soft fleece lined flannel (brushed cotton for those not in the know!). 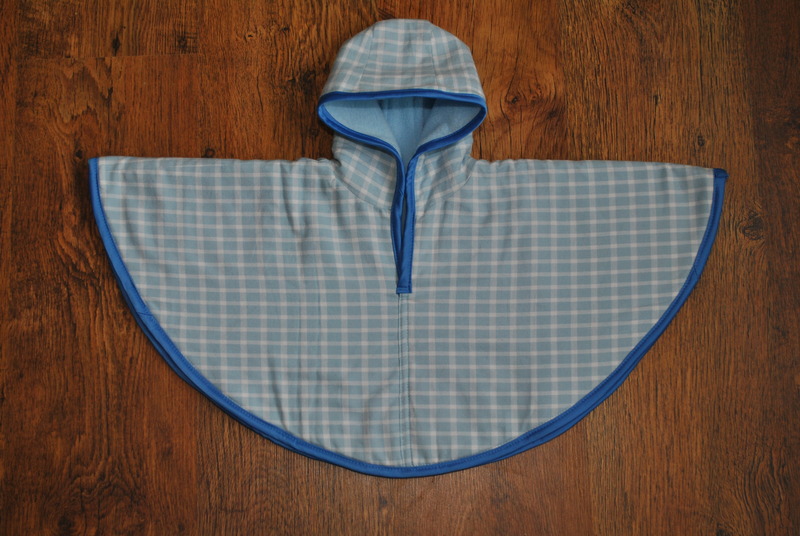 Again they went down well so I decided that once my own little bundle was a bit bigger I would try my hand at making ponchos to sell. 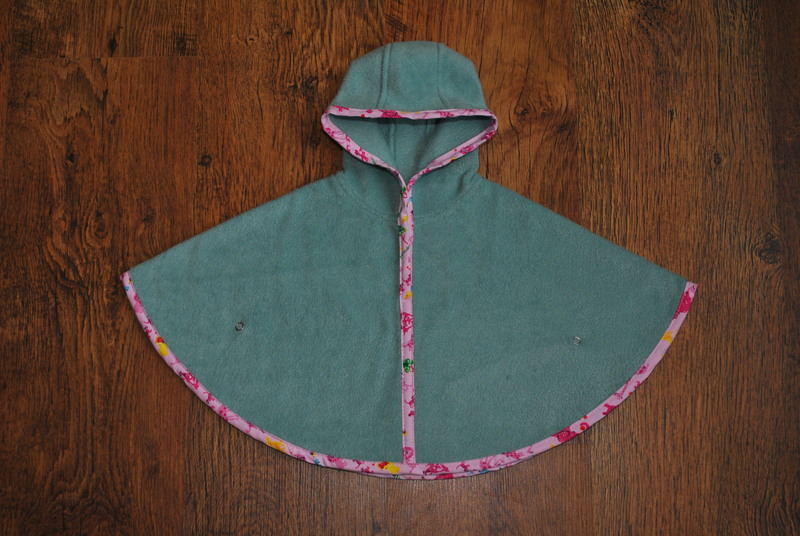 So now I have a whole variety of ponchos and capes, with even more ideas swimming round in my head for new lines.